This is a set of 10 of our most popular Bahai boolets. This is your chance to check out all of them without having to buy five of each. 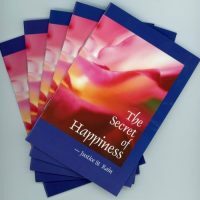 You get: A Gift of Prayers, Why We Have Hope, The Hidden Words, The Secret of Happiness, Tell Me about Baha’u’llah, One Light – Many Lamps, Wings of Prayer, True Wealth for Troubled Times, Reflections from the Sacred Writings (Ruhi quotes) and the Ocean of Healing. 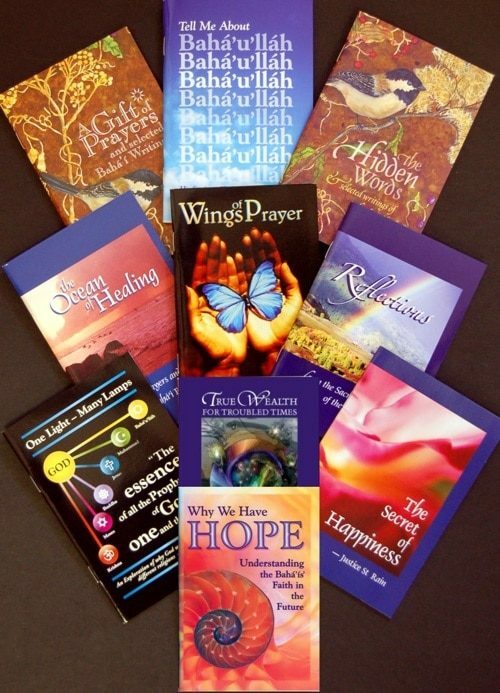 This is a set of 10 of our most popular Bahai mini-books. Here is your chance to check out all of them without having to buy five of each. You get: A Gift of Prayers, Bahai Teachings for a Hopeful Future, The Hidden Words, The Secret of Happiness, Tell Me about Baha’u’llah, One Light – Many Lamps, Wings of Prayer, True Wealth for Troubled Times, Reflections from the Sacred Writings (Ruhi quotes) and the Ocean of Healing. You can buy one of each or ten of each at a great price.